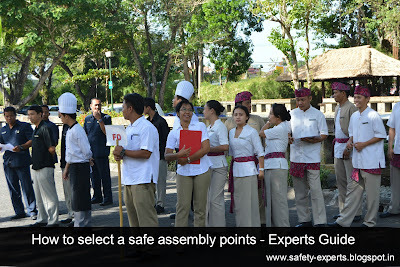 Assembly point is an location , where the workers will assemble , once they have evacuated the premises during emergency. Prepared and communicated assembly points ensure , the people in the premises will not confuse , panic in case of emergency. 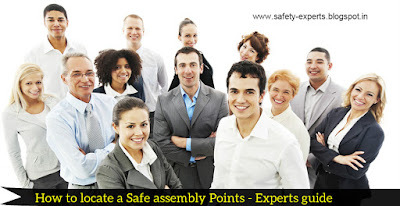 Do your safe assembly points are correctly located - Check here... ? Selecting an safe assembly points are not easier , If your escape routes & assembly points are not selected correctly , its worthless to invest your amount to protect the people . 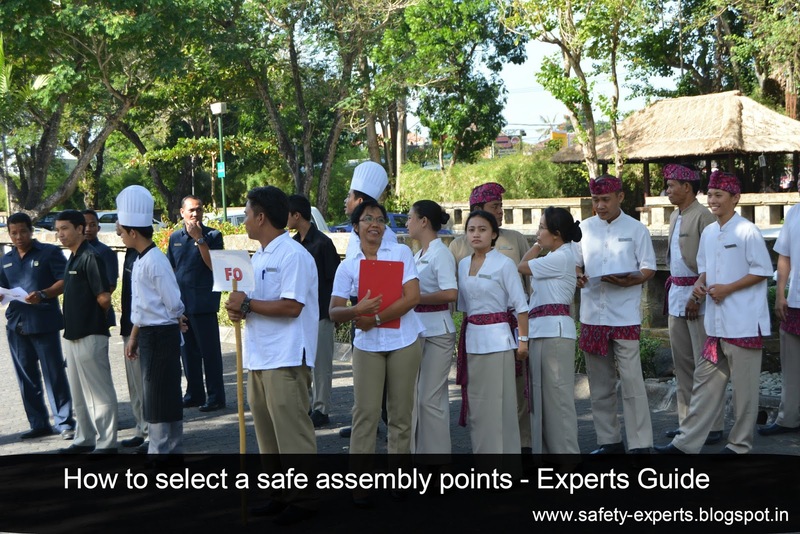 Evacuation of People is an important element exist in emergency management systems, If you are interested and curious to learn more about safe assembly points requirements this guide is for you! 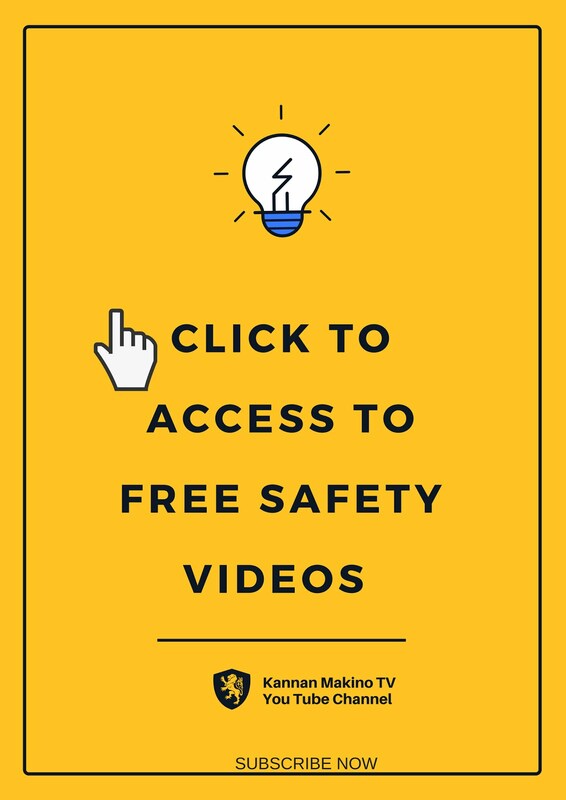 For selecting an safe assembly points , before anything its important to consider the potential number of occupants in the building , to decide the space required to hold them without risk . To decide the assembly points , Its important to look at the space required to hold the occupants , the poorly designed and congested space will create a risk through confusions and consequently the peoples are less likely to remain there. The assembly points we decide , should be in a safe distance from the building , to avoid the risks from radiant heat, fire spread , risk of building collapse etc. Your local government standards may offer some information's on recommended safe distance from the building. Can we escape , from the assembly points , during the risk of fire spread or risk of building collapse. Remember : The assembly points should not be an enclosed area or room , It should be a space where further escapes are possible. Remember , Locating a assembly points in a entry of emergency services will create a risk of collapse with vehicles , confusions , also will reduce the effective assistance to mitigate the emergency. 7.Check for special features needed ? If your industry accommodate the physically challenged persons such as mobility impaired (wheel chair users) , it is important to consider the special features required to accommodate them such as shelters. Also consider : How the Mobility impaired & other physically challenged persons will gain access to the assembly points . It's common and everyone knows , locating the assembly points near the high risk areas such as flammable storage tanks will not be effective and even will lead to fatality through primary and secondary explosions. So It is important to locate the assembly points away from the high risk areas. It's important if your company operates during night. Check that your assembly points are clearly signed with the standard signs, are clearly illuminated . Remember the signs must contain the pictographs to overcome the literacy barriers . what does the assembly point sign mean ? Safe assembly point signs are also called as fire assembly signs , safe condition signs etc. Also remember the safe assembly point signs needs to be located in a sight line , and easily visible locations . If require the Number of safe assembly points signs must be provided to indicate clearly to the occupants. Once the assembly points locations are decided , communicate the workforce through different means of communication methods such as through instructions , training , induction meetings , graphical signs etc . Ensure the new employees and visitors are informed the measures to be taken during emergencies.